The Heartland Alliance’s National Immigrant Justice Center in Chicago has brought a class-action lawsuit against the U.S. Department of Homeland Security for its Secure Communities Program. The lawsuit alleges that the Secure Communities Program violates the fourth and fifth amendments of the U.S. Constitution. The fourth amendment makes it clear that no one can be held in jail or handed over to immigration without due probable cause and that the program violates a person’s judicial protections under the fifth amendment. The lawsuit had to come about because on August 5th of this year U.S. President Barack Obama made it clear that all states are now required to implement the Secure Communities Program. The program requires local and state police to train with immigration enforcement personnel and for state and local police to hand over information on a person’s immigration legal status regardless of the circumstances. What this means is that the federal government is no longer pretending to try and get the “voluntary” approval of all state governments over the Secure Communities Program. The federal government is ramming it down their throats. Obama is also making it clear that all police officers must now be immigration informants and report any and all those even with mere traffic violations to immigration. The lawsuit is being brought against the U.S. Department of Homeland Security on behalf of two individuals—one a U.S. citizen and the other a legal permanent resident—for having their rights violated due to illegal detention and being denied judicial review (i.e. no lawyers). This lawsuit, which the federal government is trying to have dismissed, is just one in a growing list of opposition against the Secure Communities Program by state governments and legal organizations. Two states—Illinois and Massachusetts—have stated their open opposition to the program as a violation of their state and the U.S. constitutions. That of course has not stopped immigration from arresting and deporting people they catch in Illinois or Massachusetts. In other states communities are openly defying giving any cooperation to local and state police. 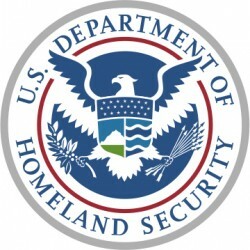 One example took place on August 15th in Los Angeles when 200 people at a meeting held by the U.S. Department of Homeland Security on the Secure Communities Program walked out in protest. Some in the meeting had been arrested and jailed for minor traffic violations under the Secure Communities Program because U.S. immigration wanted them to remain in jail until their immigration status was confirmed. How many tens or even hundreds of thousands of people have been adversely affected by this program is not known. One thing is for sure, and that is this federal program is totally unpopular in Latino communities all across the United States. They more than any other group have been the targets of this program (and yes, the two who are part of the class-action lawsuit are Latino). No matter what the original purpose of this program may have been, it has run roughshod over the U.S. Constitution and has handed the U.S. government a blank check on what it can do to people. This is why one of the most crucial legal battles in American history is now about to take place in Chicago. It is a battle against arbitrary arrest and detention without trial. None of us can afford to lose this battle.